How did we do that? The possibility of Rapid Transition, by Andrew Simms and Peter Newell, STEPS Centre & New Weather Institute, 2017 shows what we can learn about rapid change through examples from history and the present day. The publication comes at a time of great uncertainty about the shape of liberal democracy in Europe and North America – with potential repercussions for other parts of the world too. From when modern day volcanoes ground international airlines, to the New Deal in 1930s America and today’s renewable energy revolution, How did we do that? collects stories of rapid transitions and different kinds of transformations to show what we can learn from history and the present day about how people adapt to rapid change, often in the face of crisis and difficulty. The booklet follow a series of Transformations events during 2016 and 2017, organised by the New Weather Institute and the STEPS Centre. The events looked at different examples of transition and transformations around the world – from economic, cultural and financial transitions, to the radical transformation of many people’s lives by digital technology. The authors of the new booklet argue that although radical change is needed, it faces key obstacles. Much of human society is locked into a high-consumption culture, energy-intensive infrastructure, unequal power relations, and an economic system dominated by finance that fails the poorest and takes infinite growth for granted. Other barriers are more in people’s mindsets and attitudes towards change. Opponents of radical change argue that it is impossible because of powerful incumbent interests, high costs, the lack of a detailed blueprint, or the unwillingness of governments or citizens to act. Others pin their hopes on a smart, technological fix to environmental problems. Despite these barriers, there are examples of change that might give us hope. History is full of examples of rapid transition in the face of new challenges. Society shows a brilliantly adaptive ability to change and still meet its needs. The examples in the book suggest that these barriers can be, and have been, overcome in the past through grassroots movements, through leadership from governments, or a combination of the two. Not all of the transitions and transformations we studied have been positive for everyone, or been carried out in a democratic or fair manner. And others have taken place at times of great stress – during war, or severe economic crisis – where rapid and radical changes were easier to implement or force through. In this video playlist, we asked speakers to share their views on rapid transitions, including Caroline Lucas, Rob Hopkins, Richard Murphy, Andrew Simms, Andy Stirling, Pete Newell, Paul Allen and Molly Conisbee. 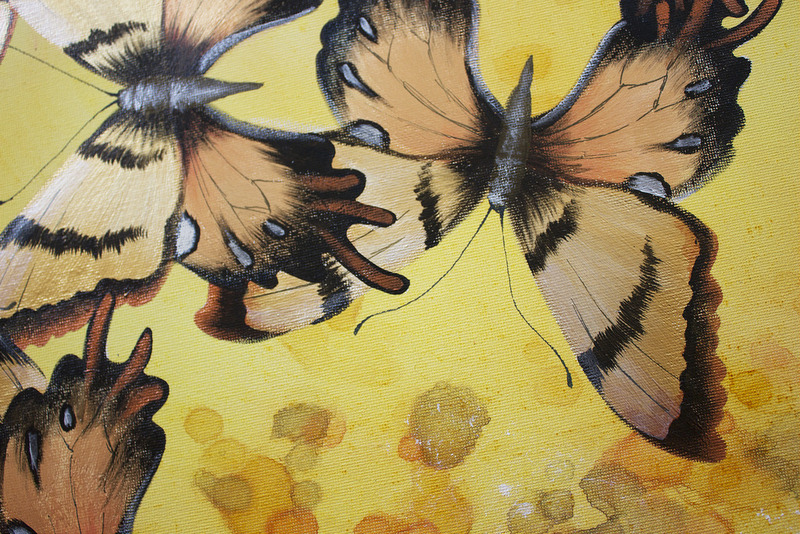 What can we learn from transitions and transformations? Fairness matters: to be accepted, rapid change must be seen to be fair. This is especially true if and where there is any perceived sacrifice to be made for the greater good. We’re actually good at change: New social norms can quickly take root in everything from working patterns, to transport use, attitudes surrounding prejudice, and patterns of consumption. Public leadership is needed: Initial public investment in a sector or activity can leverage larger levels of investment from other sources. There’s no one path: Rapid transitions can result from bottom up and top down approaches, but ensuring that top down approaches are equitable and inclusive is a key challenge. Inaction costs: It matters always to be clear about both the costs of inaction and the benefits of action. Pleasant surprises do happen: Change always brings with it unplanned and unexpected consequences – but it can also bring unintended benefits. 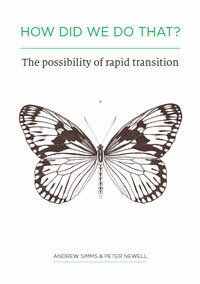 This booklet is part of an ongoing conversation about transitions and transformations in the UK and beyond. At Monday’s event, we’re hoping to start a discussion about what to do next. Where does the energy lie? How can activists, researchers and citizens learn from each other to create transitions that work for people and the planet? The Eyjafjallajökull volcano eruption in Iceland in 2010, halted northern European air travel overnight. Despite losing a transport link thought indispensable, businesses and individuals adapted almost immediately. In Kurdish Rojava, at the heart of the Syrian conflict, experiments with direct democracy on feminist and ecological principles show that citizens can work together even in the face of violence and economic collapse. In response to an earlier failure of private banks, the New Deal in 1930s America invested an amount similar to that thought needed for low carbon transition today to public relief and federal works programmes. The New Deal saw a general drop in income inequality, an improvement in gender equality, a major programme of new public housing and significant environmental works. Dramatic changes have occurred within a short space of time in renewable energy capacity in countries from Costa Rica to Denmark and in food systems in Cuba.